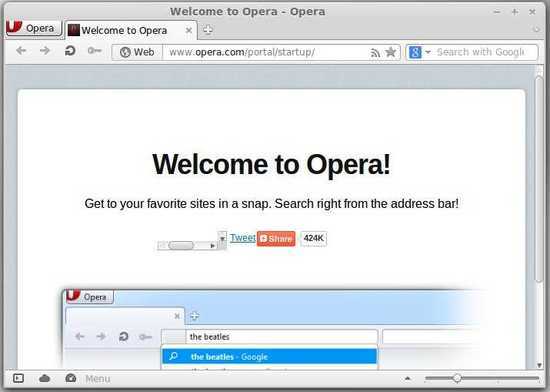 Here’s a guide to install Opera browser 12 on Linux Mint 13, 14, 15. I’d recommend to add the official repository which has well integrated version for Debian based Linux. To get started, press Ctrl+Alt+T to open a terminal window for running commands. Once installed, search it from the start menu. Enjoy! I’ve tried from Opera’s page and it doesn’t work. OH! Thank you so much.